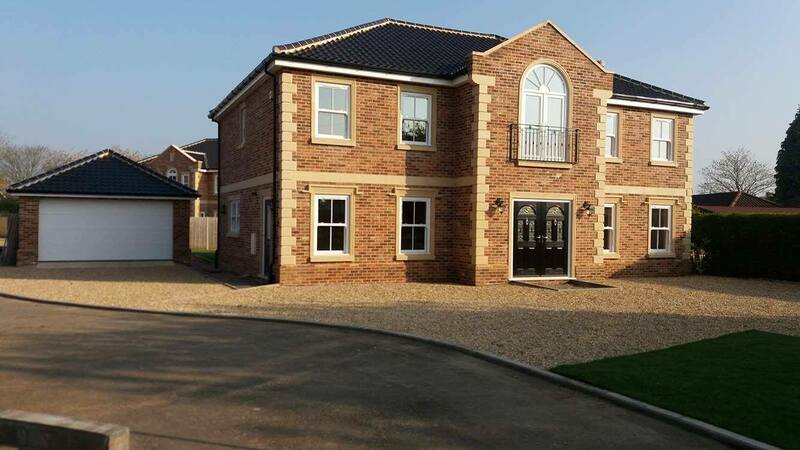 An exclusive development of 4 architecturally designed Edwardian style executive homes. Plots 1 & 4 are sold subject to contract. Property size is approximately 2500sq ft. 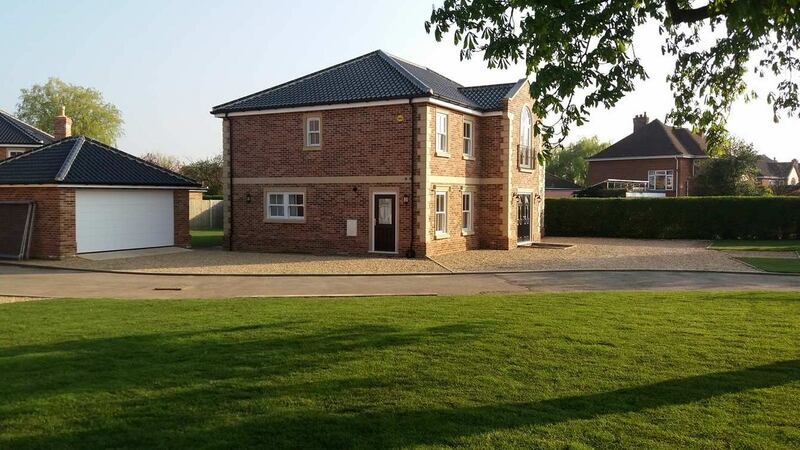 Being just off the A11 trunk road Attleborough is ideally located with easy road and rail access to Norwich Cambridge and London. These homes are Edwardian Style consisting of 4 double bedrooms, 2 with ensuites. 1 main bathroom. 1st Floor open plan room which could be used as a further bedroom or study. Attic space storage area with potential for further development. Double composite feature doors into entrance porch with area for hanging coats and shoe storage. Double internal doors leading into the hall comprising of quality wood staircase leading up to the half galleried landing. Ground floor comprises of a large conventional living room with fireplace suitable for woodburning stove only. Open plan kitchen/dining room. Utility room. Cloakroom. Computer room. Generous sized front and rear gardens laid to lawn with paved patio area. Double garage with electric Hormann Door. Electric point and lighting with a composite side door. 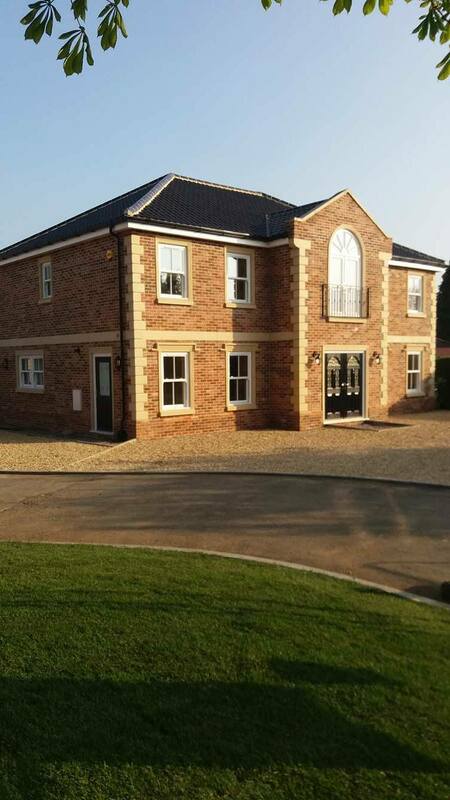 Conventional style construction of brick and internal block work with black clay pantiles. 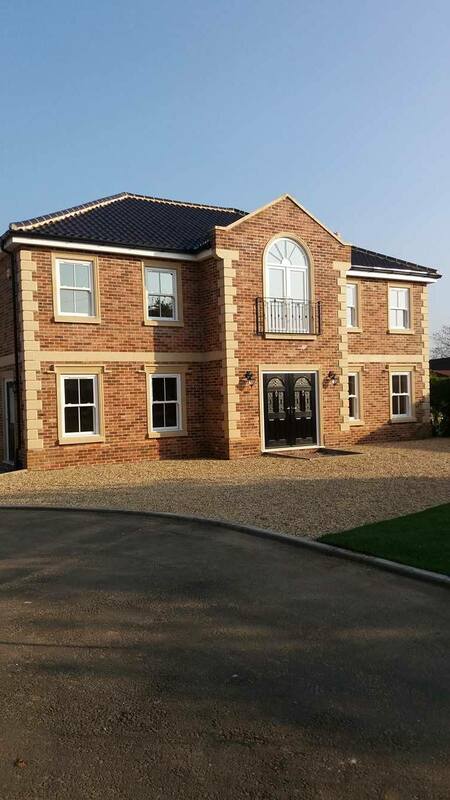 Traditional Heritage blend bricks with sandstone cills, jambs and heads, central band and tapered corner stones. White upvc bargeboards and soffits. Upvc A+ rated sash windows with run through feature horns. Central Arched first floor, inward opening French doors with Sunburst arched window above, Juliet balcony in black metal design. Underfloor gas central heating with radiators to first floor. 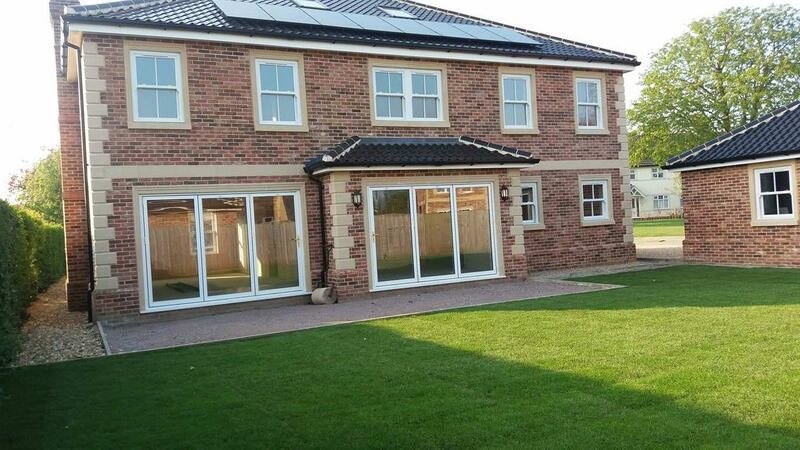 Rear lounge and dining room have been fitted with 3 panel bi-folds doors leading straight onto the patio area. Rear roof has large velux windows letting lots of natural light into the attic space with black 2kw solar panels. Completion date is subject to sale requirements. 6 Year architectural structural insurance backed warranty. Viewing is strictly by appointment only. Please email or call to arrange a viewing or to request further details.